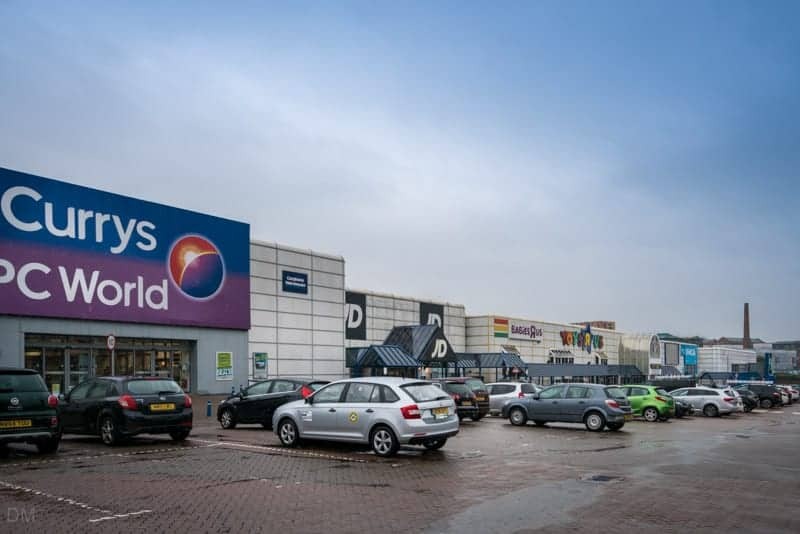 Located on Great Ancoats Street, this is the closest retail park to Manchester city centre. Shops here at the time of writing (September 2016) are Currys PC World, JD, and Toys R Us. The area may be redeveloped in the near future so please check individual retailer websites before travelling. Central Retail Park is located on Great Ancoats Street (postcode M4 6DJ) on the edge of Manchester’s Northern Quarter and opposite Urban Exchange. Customers enjoy free parking (time limited). Map showing location of Central Retail Park Manchester.